To the Dogon the equinox symbolized the restoration of balance in the solar system. During today's equinox, the sun will shine directly on the equator and there will be nearly equal amounts of day and night throughout the world. 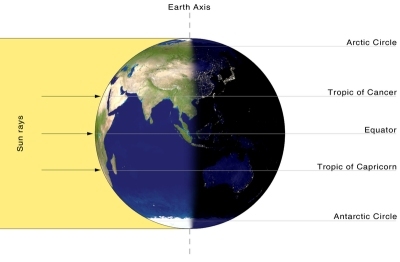 This is the first day of spring (vernal equinox) in the Northern Hemisphere and the first day of fall (autumnal equinox) in the Southern Hemisphere. The Mistress of Speech was also symbolized by a red giant star and was associated with the planet Jupiter and the hunt. She was identified with an Ostrich, which is the largest bird in existence at “2.74 m (9.0 ft) in height and up to 154 kilograms (340 lb) in weight.” Ostrich's also lay the largest egg of any living bird, which could be why the Dogon associated an ostrich egg with the "Egg of the World". 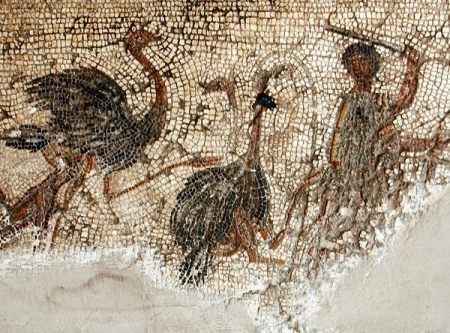 I believe that the ostrich’s association with the Mistress of Speech and the ritual hunt extended to other areas of Africa, which may be why the North African Ostrich, also known as Red-necked Ostrich, had almost been hunted to extinction in several countries.